If there was ever a good time for a Snapdragon 855 performance leak to come through, it is going to be now. The chipset has allegedly gone through a Geekbench run, and if the scores turn out to be true, Qualcomm would have finally made a decent jump with its flagship SoC when it comes to performance as these scores are quite impressive for a silicon that is going to be found in future high-end Android devices. The entity features a very strange name for something that has gone through a benchmarking run; ‘QUALCOMM msmnile for arm64’. Regardless, the test device which is apparently housing the Snapdragon 855 scores 3,697 points in the single-core Geekbench v4.0.4 benchmark, which is a great improvement, and 10,649 points in the multi-core test results. If we do a comparison between the Snapdragon 855 and the Snapdragon 845, the latter usually scores around 2,300-2,400 points in the single-core tests and around 8,500-9,000 points in the multi-core one. This shows that Qualcomm has allegedly been able to significantly boost the single-core speeds of the Snapdragon 855 while giving nominal gains in the multi-core performance department. 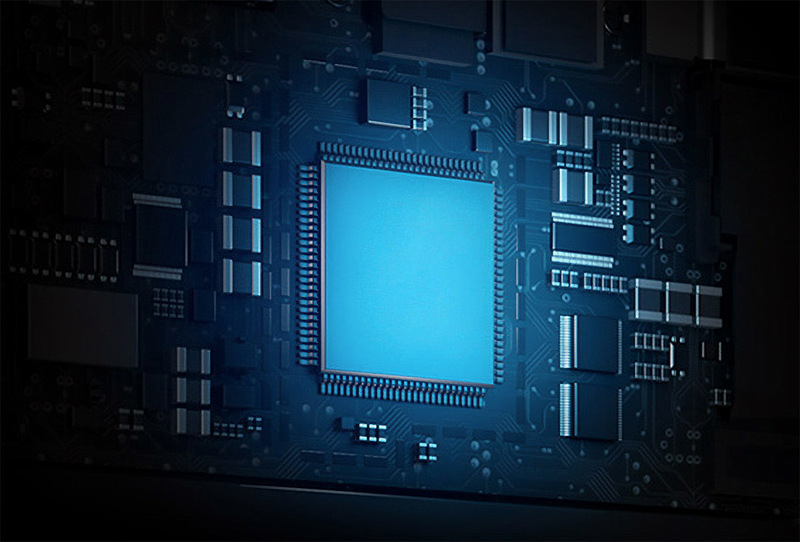 The SoC is also listed as featuring an octa-core processor with a clock speed of 1.78GHz. Still, we will need a little more convincing to know that these are going to be the actual scores of the upcoming chipset. 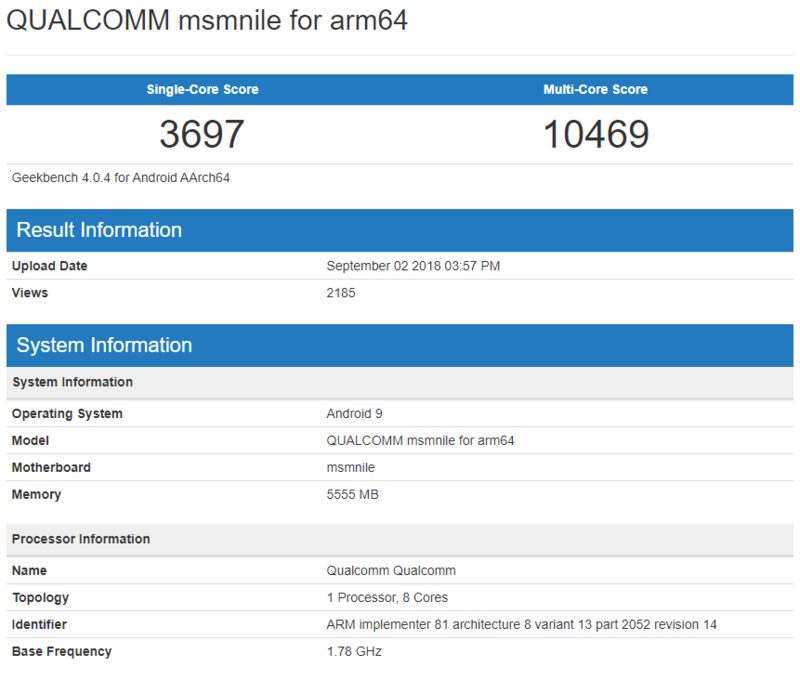 In addition to the Geekbench scores, the ‘QUALCOMM msmnile’ also has some HTML5 test scores that we’d like to share with you. According to the image, the device being tested is running the latest version of Android, which is Android 9 Pie. In case you didn’t know, the Snapdragon 855 will be built on a 7nm FinFET manufacturing process made by TSMC and Samsung’s Galaxy S10 is said to be the first family of smartphones that will take advantage of this next-generation silicon. There are also rumours that the Snapdragon 855 might be the first chipset from Qualcomm to feature a Snapdragon X50 5G modem, but other rumours are clamouring that it is not the Snapdragon 855, but the Snapdragon 865 that will have the honour of being outfitted with the first-ever 5G modem from the company. What do you think about the Snapdragon 855’s alleged benchmarking scores? Are you convinced that this is the real deal? Tell us down in the comments.